Staff were super nice, lunch was pretty good however water activity was too short (only 1.5 to 2hours in the morning) not much to see in the forest and especially afternoon is a real waste. Will be much better if we have afternoon snorkelling too. Dreaming of the perfect island getaway? 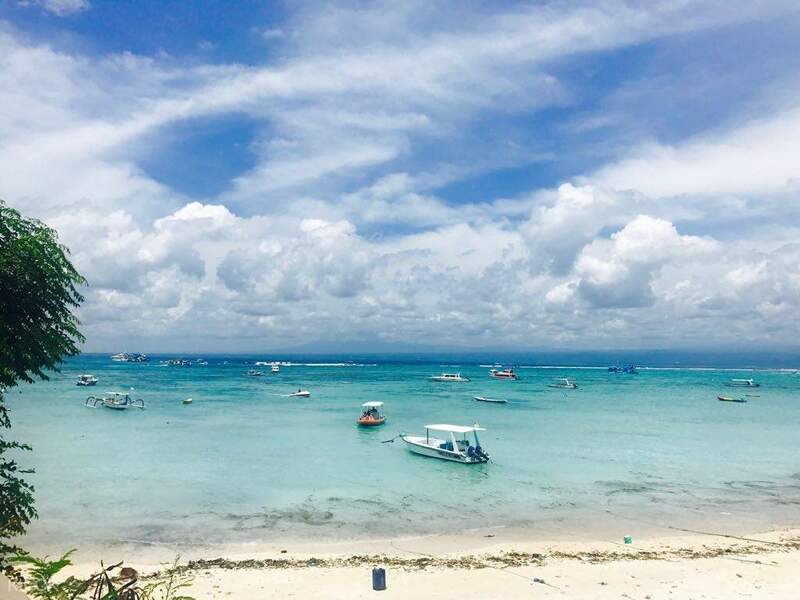 Nusa Lembongan is one of the most tranquil spots in Bali sporting unspoilt nature, authentic culture and a truly relaxing holiday ambiance. On this full day trip, you will not only get to discover the area’s breathtaking beauty on land but also snorkel in three different locations on the island admiring Indonesia’s rich marine life. 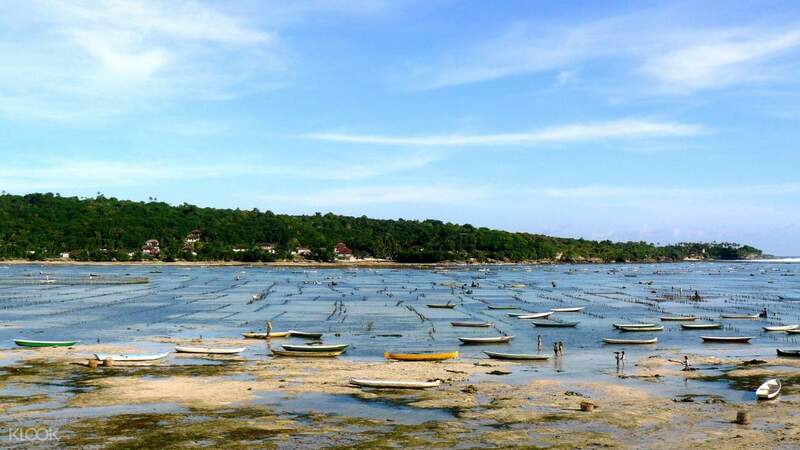 Start the day with an early morning hotel pick up and hop on a boat to Nusa Lembongan. Begin your day with a fantastic underwater adventure – snorkel at three different places on the island and keep your eyes wide open for exotic fish and colorful algae. After exploring the underwater world, enjoy some Indonesian lunch. Then, spend the rest of the afternoon exploring Devil's Tears, Panorama View, Dream Beach for their spectacular views. Finally, before you head back to Bali, go on a Mangrove tour aboard a traditional boat – the perfect way to end your day. By 7:00pm you should be back at your hotel, well rested and full of new impressions. It was a fun day. They do the entire planning for you that includes cab, snorkeling, sight seeing and lunch. The cab will pick you up right from your hotel and drop you back at hotel/or any other place(you will be provided with a form at Sanur in which you can mention your drop point). Once you arrive at the island they will welcome you with welcome drink and perfumed face towels. Later you will be taken on a speed boat which will take you to three snorkeling points (small fish, big fish and wonderful corals are what you get to see). Next will be the mangrove tour post which you will be taken back at the island restaurant. You will be provided with scented bath towels for shower. They will serve you Indonesian lunch which tastes pretty good. The lunch comes with a potato crisper as starters and coke/sprite/ginger ale and ends with fruit salad. Post lunch you will be going to Panorama point, Devils tear and Dream beach. Klook provides a hassle-free tour with star service. It was a fun day. They do the entire planning for you that includes cab, snorkeling, sight seeing and lunch. The cab will pick you up right from your hotel and drop you back at hotel/or any other place(you will be provided with a form at Sanur in which you can mention your drop point). Once you arrive at the island they will welcome you with welcome drink and perfumed face towels. Later you will be taken on a speed boat which will take you to three snorkeling points (small fish, big fish and wonderful corals are what you get to see). 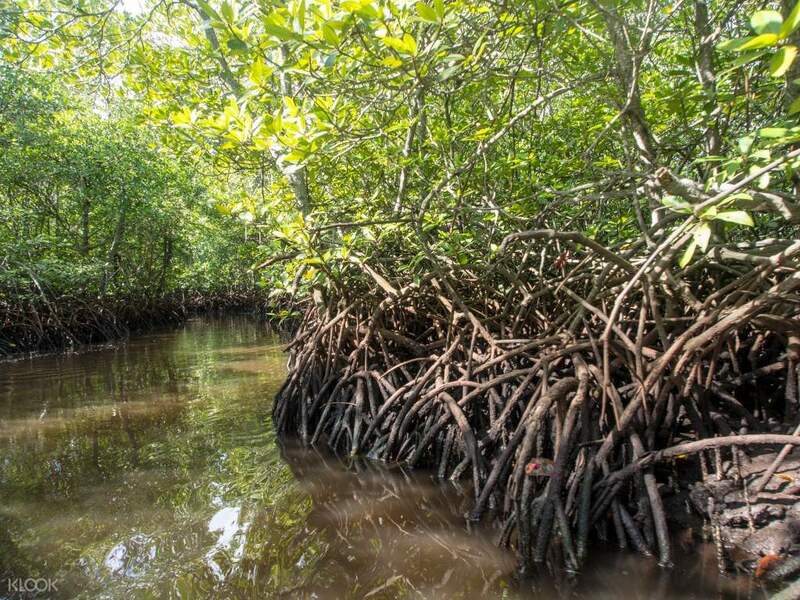 Next will be the mangrove tour post which you will be taken back at the island restaurant. You will be provided with scented bath towels for shower. They will serve you Indonesian lunch which tastes pretty good. The lunch comes with a potato crisper as starters and coke/sprite/ginger ale and ends with fruit salad. Post lunch you will be going to Panorama point, Devils tear and Dream beach. Klook provides a hassle-free tour with star service. One of the best things done in Bali. The whole experience is great! snorkeling at the 3 points is simply beautiful ❤ Klook organised this very very well, from the time I booked the tour to the time we were dropped back at the hotel. We were taken care of very well. Thank You God for the beautiful creation 🙏 Thank You Klook for this amazing package tour! Totally worth it! One of the best things done in Bali. The whole experience is great! snorkeling at the 3 points is simply beautiful ❤ Klook organised this very very well, from the time I booked the tour to the time we were dropped back at the hotel. We were taken care of very well. Thank You God for the beautiful creation 🙏 Thank You Klook for this amazing package tour! Totally worth it! Very Awesome Tour. Everything is beautiful. The trip is memorable & the view is excellent. Even the crew tour is very kind & polite. 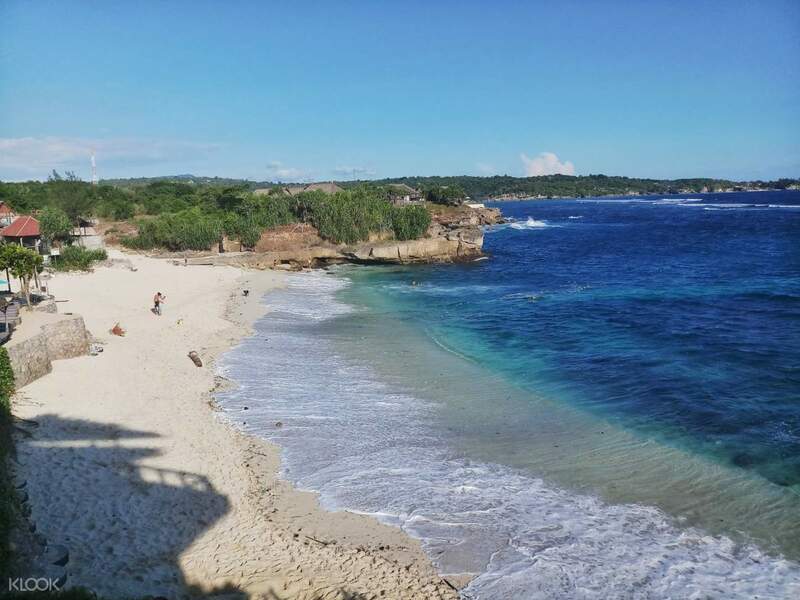 Very recomended to other travel to try this tour when you visitting "nusa lembongan". The last, thanks to Klook to provide this amazing tour. Very Awesome Tour. Everything is beautiful. The trip is memorable & the view is excellent. Even the crew tour is very kind & polite. Very recomended to other travel to try this tour when you visitting "nusa lembongan". The last, thanks to Klook to provide this amazing tour. They definitely do pick you up too early and you end up having to wait for the boat for a while. Snorkelling sites were beautiful (but too close to one another), then the is one part (2nd half of the day) could have been more interesting. Lots of fish variety but not much time to really "sit" on a beach / island. They definitely do pick you up too early and you end up having to wait for the boat for a while. Snorkelling sites were beautiful (but too close to one another), then the is one part (2nd half of the day) could have been more interesting. Lots of fish variety but not much time to really "sit" on a beach / island. The tour was good and within Bali standards. The lunch was basic. Hotel pick up was earlier than expected which was great. Also, always use your fins/flippers because the currents were strong. They let us chill and swim by the pool of this resort after the mangrove tour. Bring some extra money for snacks. The tour was good and within Bali standards. The lunch was basic. Hotel pick up was earlier than expected which was great. Also, always use your fins/flippers because the currents were strong. They let us chill and swim by the pool of this resort after the mangrove tour. Bring some extra money for snacks. Our overall experience is good, we are snorkeling lovers however after some other similar trips e.g. in different parts of Thailand it can be said that the organization, communication has to be developed. I felt that I don't know what, when is coming, what will we do, visit next etc... Anyway the snorkeling spots are amazing and I can recommend to participate in this activity. Our overall experience is good, we are snorkeling lovers however after some other similar trips e.g. in different parts of Thailand it can be said that the organization, communication has to be developed. I felt that I don't know what, when is coming, what will we do, visit next etc... Anyway the snorkeling spots are amazing and I can recommend to participate in this activity. Transitions between trip segments were slightly long with nothing much to do for 2 x 45 min durations. Guides and staff were caring and kindly attentive to each visitor’s need! Transitions between trip segments were slightly long with nothing much to do for 2 x 45 min durations. Guides and staff were caring and kindly attentive to each visitor’s need! Awesome waters! Mangrove point has the best view, make sure to snorkel there. Water was crystal clear, and there were schools and schools of fishes swimming all around us! Just a gorgeous gorgeous experience. Devil’s tear is also a must, didn’t realise that was part of the package which made it a pleasant surprise. Lunch wasn’t fantastic but the food’s not the point, nature’s beauty trumps all. Awesome waters! Mangrove point has the best view, make sure to snorkel there. Water was crystal clear, and there were schools and schools of fishes swimming all around us! Just a gorgeous gorgeous experience. Devil’s tear is also a must, didn’t realise that was part of the package which made it a pleasant surprise. Lunch wasn’t fantastic but the food’s not the point, nature’s beauty trumps all. Q: Does the snorkeling gear include snorkeling suit?